Californian six piece Crystal Antlers released their debut album ‘Tentacles’ last year and their psych punk resonated across the Atlantic to the UK. 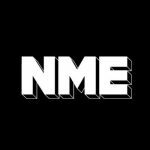 Now the band are offering up this little nugget to NME readers – four alternative and demo versions of songs from their ‘Tentacles’ sessions including one never used arrangement ‘Cloudscape’. Download the four tracks here. The band are also selling a tape of more of the songs from that period… just email the band at crystalantlers@gmail.com to buy it for a fiver plus shipping.